Fed up with the British winter and in desperate need of some warmth & sunshine Club coach & Academy manager, Dan Coast packed up the bike & headed out from Bristol Airport destined for cycling utopia. Having got cold, windswept and wet all too often recently and with the turbo trainer really starting to bore me it was time to get away from it all. I had some leave which needed using and the rest of my family were also in need of some Sunshine so a week away in Tenerife over half-term was very much needed. It was all a bit last minute (we only booked it 2 weeks before heading out) but we settled on the Golf del Sur on the south of the Island, just a short drive from the airport, close to the other family related holiday stuff we wanted to do and ideal for me to get out on some rides from. We have been to Tenerife a number of times but this was the first time that I would be "allowed” to take my bike, only condition was that I would need to go out early in order to be back in plenty of time to do other things, after all it was a Holiday not a training camp. Ahead of the trip I was lucky enough to borrow a Bike bag from work, embarrassing enough though as it was a Team Sky bag which had just returned from the Tour of Dubai, some baggage handlers were going to be disappointed when they saw me collecting it! I Went for a bag rather than a box as it can be folded away relatively easily when not in use and didn’t require me to disassemble the bike as much. Packed out with cardboard in each end, 5m’s of bubble wrap and a good 2m’s worth of pipe insulation the bike was packed along with some basic tools, spare tyres, tubes and all important track pump. We were heading out on the 4 hour flight. I’d planned a few rides and programmed routes into my Garmin in order to avoid getting lost, pretty hard to get lost on the island which is an extinct volcano in the Atlantic off the coast of Africa. Your either going uphill or coming down, By being close to the airport I had both a visual reference and plenty of signs top point me in the right direction should I get lost in the hills. Day 1 and after a lot of traveling I would ease into things with a little 2 hour ride around the relatively flat roads on the coast, around the airport and into the foothills. 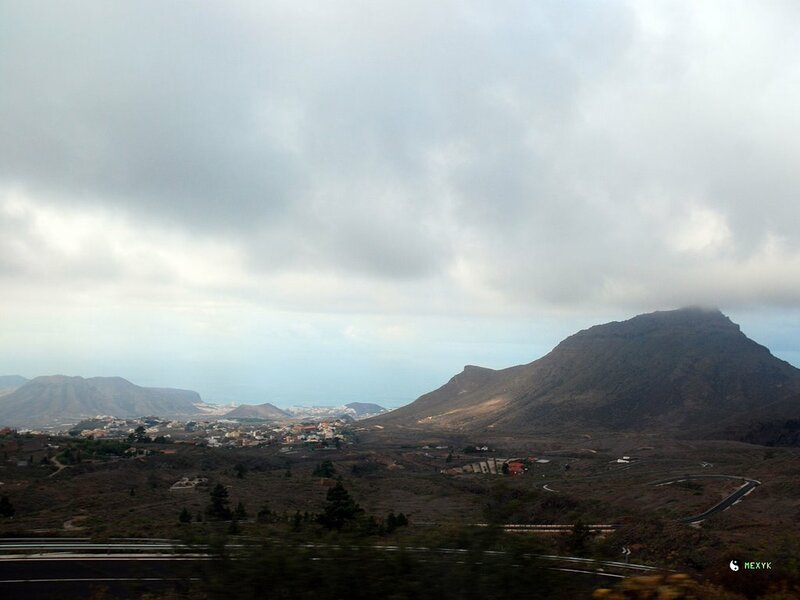 As soon as the sun has high enough I headed out, as mentioned its either up or down in Tenerife & I soon began a 8 mile drag up past the airport to the town of San Isidiro, this was supposed to be an easy day but before long I was fast running out of gears and climbing for over 20 mins. It was a great little route once into the foothills with short but twisty descents it allowed me to ease back into riding on the road. 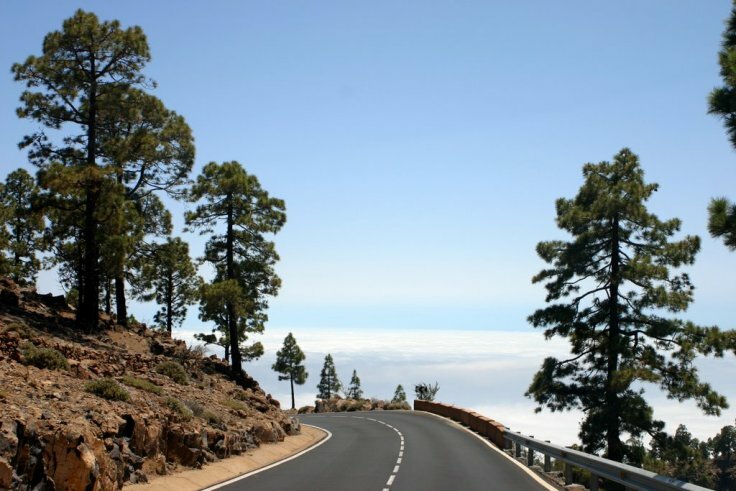 The following days I headed higher up into the mountains towards the mighty Mount Teide, Spain’s highest road at over 2000m. I was never going to get this far up in 2 hours of riding, particularly with the gearing I’d opted for. Unable to change my gearing in time ahead of the trip my combination of a 39 chainring and 25 cassette was massively overgeared. Bearing in mind I live on the Somerset levels where the biggest lumps are motorway bridges 20km of constant 6-8% gradient was far from ideal and on most rides it I was in my lowest gear within the first 10mins of a ride settling in to grind it out at 70rpm for the next 90mins bathed in sweat. Still I was outside in short sleeved tops & shorts so whilst uncomfortable I had a big smile on my face and enjoying the rides. It’s not until afterwards that I’d stumbled on a number of routes the pro teams like SKY use as benchmark testing, thanks to Strava I could see how pathetically slow I was in comparison, but hey they are Professional athletes after all. One day I took the stunning ride up towards Vilaflor from Las Americas, this is a busy road initially but the Spanish Drivers were great, amazingly patient considering how slow I was going uphill they would wait until they could fully see the road ahead before overtaking, no beeps of the horn all week with at least 2m’s space given when overtaking, if only everyone in the UK was as patient? This route took in some breath-taking views back down to the coast as you twist through the hairpins, out of the cloud to around 1000m and into the pine forests of the national park, the last bit of greenery you’ll see before hitting the volcanic rocks and the altitude becomes too much for most plants. I’ve driven this route a number of times and as recently as 2 years ago when we drove to see the sights we ran into Team Sky who were training ahead of the Giro, I knew the road would be fun as I had to stop the car on the way down as I was feeling a little car sick! The climb was amazing, views brilliant and the hairpins demanding, you felt like a pro if only briefly before the effort of it all became too much and you got a reality check. The descents were great fun, brilliant road surfaces led to a fast flowing descent which you could take at speed, I really enjoyed this and took great delight in zipping past locals on the way down, just a shame it was over so quickly as it would take around 90mins of climbing to get a 20min decent. Overall it was a great week and I’d love to do it again. I can thoroughly recommend it to anyone, you need to weigh up the benefits of taking your own bike or you can hire a suitably equipped bike for around £25 per day so you do have options. If you want to see where I rode or would like to chat about the trip just get in touch.